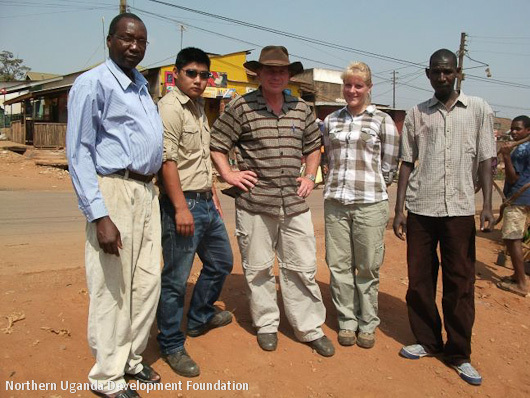 Below is a brief summary of the 2010 Uganda trip by Tony Donovan, Jeanne Menge and Dominic Brock. 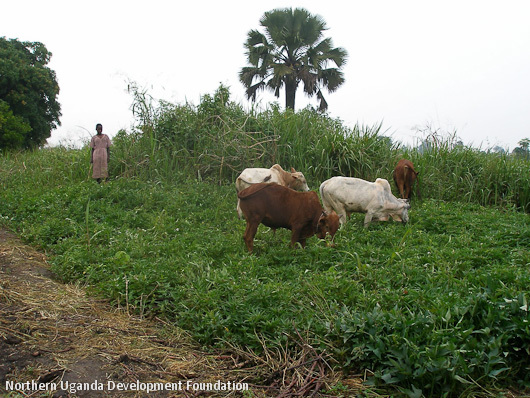 Be sure to check our YouTube link to see the documentary of our 2010 trip to Uganda. 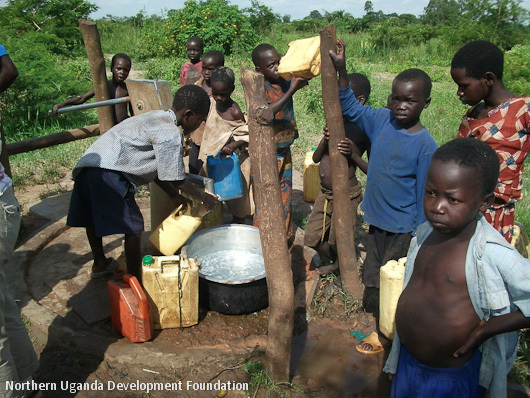 With these 23 wells and 3 repaired non-NUDF wells we found out there were over 42,000 villagers using them! These ploughs and oxen are owned and cared for by NUDF and are available to any village for a small fee. The school had a very serious problem in not being able to provide tests to students because they had no way to produce and copy tests. The equipment was bought and delivered to the school. 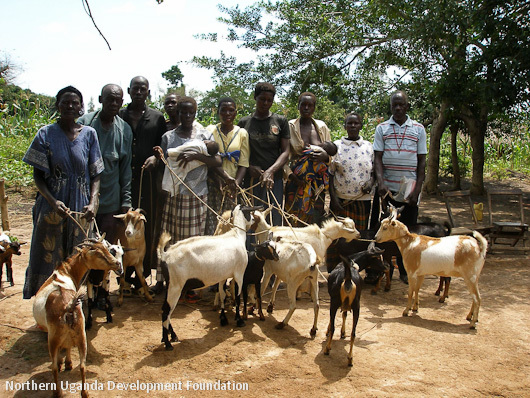 The goats will be shared among villages to breed with the existing goat population. 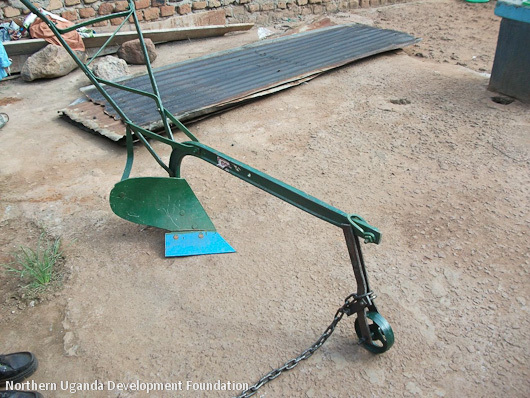 This will eventually make the normal breed in Uganda larger and more productive. The demonstration farm is doing very well. A lot of work has been done. 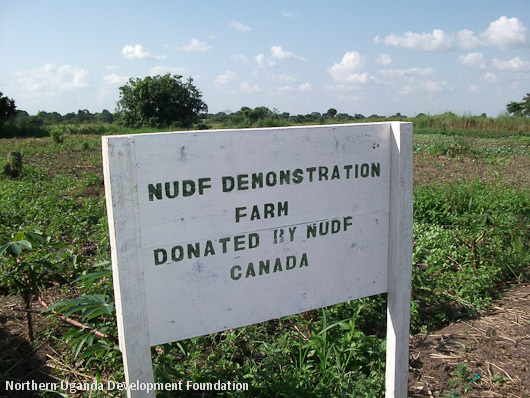 The demonstration farm is intended to introduce new crops and improved farming practices for farmers. Nursery doing well. They need more money for the plastic tubes (bags) they grow the plants in. I told them to send a complete report of their activities and needs. 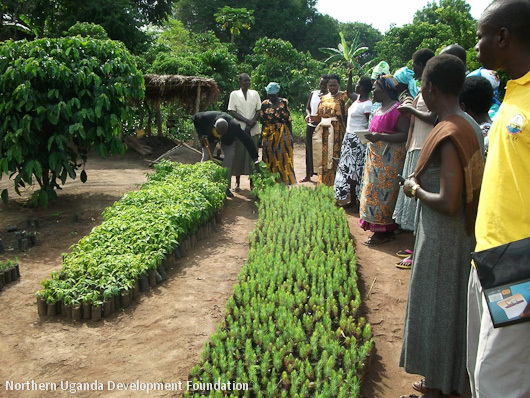 The nursery’s goal is supply low cost tree seedlings and food plants to local farmers. It also employs several people locally. 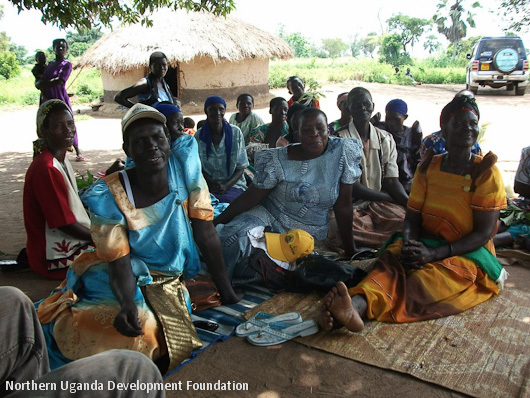 We filmed most of our activities and the feedback from villages and women’s groups. A DVD will be available shortly highlighting our trip and answering the question, “Are We Making A Difference? The director in Uganda, Geoffrey Odongo is doing a very good job. Others are working for us but it is left to Geoffrey to employ people as needed. Canada House is a temporary name given to a community centre we are building. 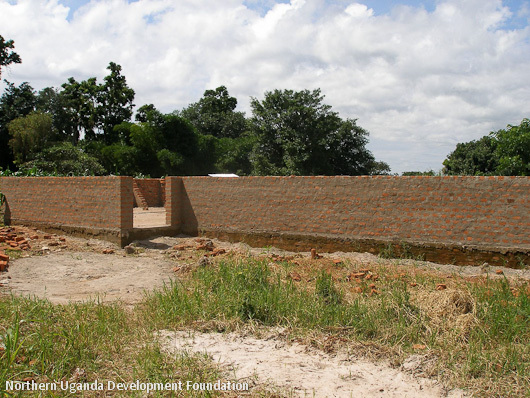 This will be used as our base in Northern Uganda. 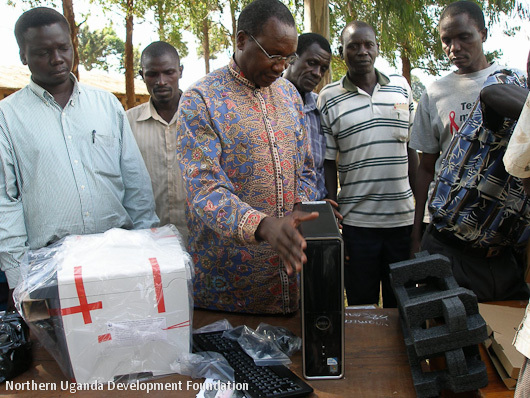 It will help us to train villagers in areas of health, nutrition, farming and small business practices. It will also provide a secure, clean living space for us when we travel from Canada. The outside house walls are up to chest level. I got the total estimate to finish the centre. About 20,000 dollars will complete the community centre. We gathered information from many of the women’s groups. Some very good news and some requests. I asked the groups to send us a report of their activities and needs. The bishop requested to meet us to thank us for the contribution to Kamdini Church. 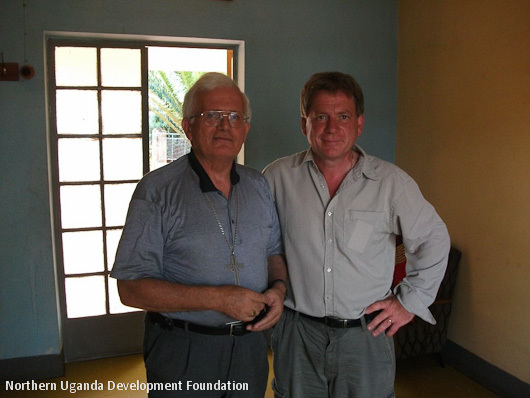 He also expressed a great need for help in Lira with clean water and farming. I filmed the bishop making a request to the people of Canada.